Acute & chronic Neck Disorders, Whiplash Injuries, Tennis Elbow, Golfers Elbow), Hand Injuries, Osteoarthritis of all joints, Carpal Tunnel Syndromes, Acute & Chronic Neck Disorders, Spine Injuries, Disc Injuries and Pinched nerves, Headaches, Postural Dysfunction, Hip pains, bursitis, Iliotibial Band (IT) syndrome, Rotator cuff Injuries, Frozen shoulders, Pelvic pains, Sacroiliac joint (SI) pains, Shoulder disorders, Patellar Dislocations, Tendonitis, Jumpers Knee, Shin Splints, Ligament Injuries, Meniscal Injuries, Ankle Sprains, Plantar Fasciitis, All Fractures and Post surgery rehabilitation, Facial Nerve palsy, Neuro Rehab and more……. Electrotherapy: Ultrasound Therapy( Needs picture ), TENS, Interferential Therapy. It helps to promote pain relief which helps to speed up the process to rebuild the muscle flexibility, strength and endurance through exercises. Exercise Therapy : We provide appropriate and accurate exercise prescription to alleviate the pain, improve muscle flexibility , strength and endurance. Moist Heat Therapy : We use Hydrocollator and the moist heat packs for upper back, lower back, peripheral joints, Neck and shoulder girdle. Ice Therapy : We use gel ice packs to reduce swelling, edema, & pain. Our another expertise is dry needling, an additional service provided by our Physiotherapist to alleviate the pain. Dry needling is a technique physical therapists use (where allowed by state law) for the treatment of pain and movement impairments. The technique uses a "dry"needle, one without medication or injection, inserted through the skin into areas of the muscle. Other terms commonly used to describe dry needling, include trigger point dry needling, and intramuscular manual therapy. 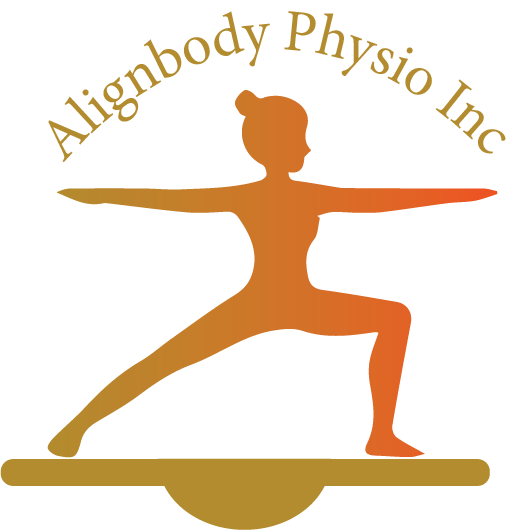 Alignbody Physio provides pelvic health services. Are you suffering from dribble on coughing or sneezing. Its curable. We have solutions for the same. Our certified Physiotherapist would definitely be able to help you through accurate assessment and related treatment.